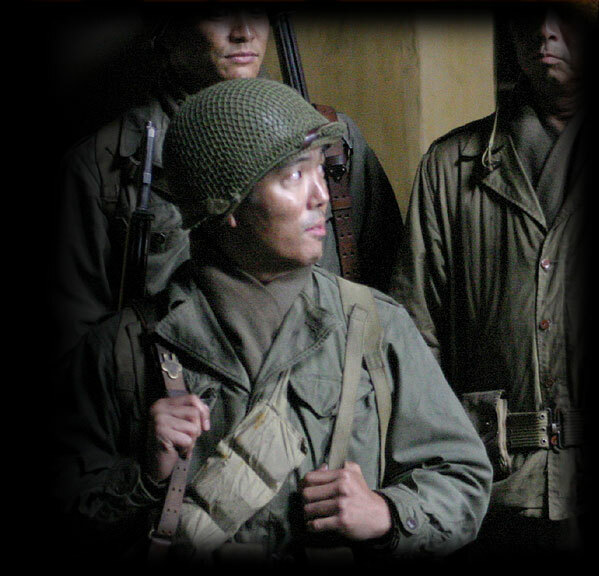 Born and raised in Hollywood, California, Yuji Okumoto began his acting career over 25 years ago. He has since been featured in more than 30 motion pictures, including "Pearl Harbor," and appeared in several dozen television shows, including "Knots Landing" and "JAG." After graduating from Hollywood High, Okumoto took his first acting class while attending Cal State University in Fullerton. He was discovered and signed by an agent while performing in Arthur Kopit’s play, "Indians." His first professional role was on the CBS daytime drama, "The Young and the Restless," and his big career break came in 1985 as the lead bully in "Karate Kid 2," starring Pat Morita. Okumoto is spending early 2006 filming in the Philippines in "The Pearl of the Orient." He currently resides in Seattle, where he owns and operates his own Hawaiian restaurant, called Kona Kitchen. "It was truly an honor to be part of 'Only the Brave,'" he says. "The sacrifices made by the men of the 100th, 442nd, 522nd, and the MIS should never be forgotten. Hopefully, this film will continue to remind all of us the debt of gratitude owed to these individuals."